he doesn't want to kill you. at least not right now. 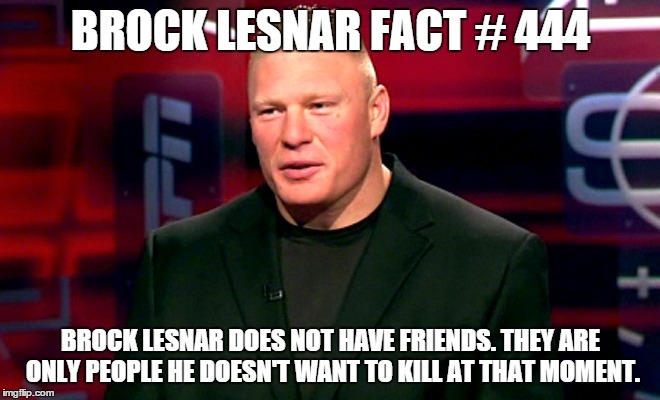 BROCK LESNAR FACT # 444 BROCK LESNAR DOES NOT HAVE FRIENDS. THEY ARE ONLY PEOPLE HE DOESN'T WANT TO KILL AT THAT MOMENT.